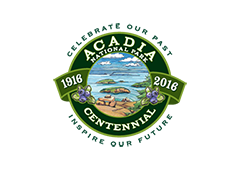 Though we've been renting to vacationers coming to Acadia National Park since 2005, we've never experienced a negative review! 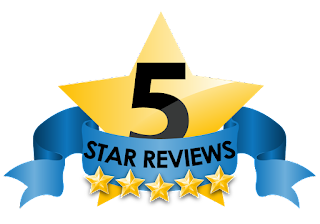 In fact, all reviews verify that Guests love the area AND the house. We do work hard to make sure our Guests have the information necessary for making the most of their precious vacation time. Here are some of the reviews Guests have posted. EMAIL us to plan your stay, with no booking fees! "We fell in love after an hour of being in your lovely home; We will make this an annual summer vacation." Hello! We are settled in and have done exploring as suggested (thank you for the tips). We are riding to Bar Harbor today and booked a puffin cruise for Wednesday. Locals are extremely friendly and helpful. I can honestly say we fell in love after an hour of being in your lovely home and all of us were in agreement we will make this an annual summer vacation. Your home is both inviting and relaxing. As a teacher I appreciate the notes; it saves time guessing and locating paperwork. We will pack much lighter next trip as you've outdone yourself with stocking everything I could think of. 😁 Thank you for sharing this beautiful getaway. I will recommend it to my friends who are very interested in my stay here. And yes I will contact you directly. I will share photos once I get back. Thank you so much for providing such a beautiful home for us to spend the week in! We had an amazing time, much due to the comfort of your wonderful home! The breeze that would blow in through the windows was such an awesome reminder of childhood times, before central air, when the only air conditioning we had was an open window and a summer breeze! The temperature here was so mild, and the humidity so low, that I could see myself spending summers here. It was a perfect fit! The home is very clean, well stocked and with thoughtful extras and tips on what the area has to offer. Kathleen has made sure her guests were comfortable. She has many extras, like an atlas, binoculars, maps, brochures and helpful info about the area. We would definitely stay again. Great Rental. The owner's respect and pride for her home shines through as soon as you drive in the driveway. It's decorated with Maine oceanside decor in all the rooms; we loved that! The house is clean, all the appliances/tvs/fans/lights work. Beds were cozy! Neighborhood is child friendly. Useful notes, pamphlets, brochures, menus are in the house; with tried and true notes of places around the area. We liked getting out of the Bar Harbor crowds; yet still able to day trip there or venture to the main land Acadia! My boys and I love the Winter Harbor house. The owner took care of every detail, we didn't want for anything. The place was spectacular; the house impeccably decorated. We were right next to Acadia park for biking and hiking. I have never been to Winter Harbor and loved the surroundings. What a beautiful place. It was the first time my 17 year old was away without an xbox; and instead he went biking and hiking. We loved cooking in the kitchen, using the deck grille; and there was a lovely back deck that we enjoyed. Everyone was extremely friendly and went out of their way to introduce themselves; make us feel welcome. I plan on returning back in the fall. Liked least: nothing, it was the best vacation we had in years. This house is built is very close to Schoodic Point in Acadia National Park. It is a great picnic spot, lots of scenic sites and grill area. About the house, it is great vacation home for a family of 6 to seven. We had the best time. Everything was so clean and tidy. Grill was there if you would like to cook something sitting on a deck and kids play in the yard. There is a kids play area right at the end of the street. Dining, kitchen, bedroom with comfortable mattresses. We are very fortunate to find a place close to Acadia. We will definitely come back. Kathleen has everything made it ready to guide you to visit the place. Thank you again and we will come back. We really loved staying at this rental. Kathleen you were great!!! You answered all my questions. You made everything very easy for us. I was a little nervous when I found out we rented a house 45 minutes from Bar Harbor, We still went into Bar Harbor whale watching. We all agreed after going into Bar Harbor, that we were glad that we rented where we did. Winter Harbor is very beautiful and although it was raining the last day before we were to come home, so we were not able to see Cadillac Mountain, we still had a wonderful time. I definetly would recommend this home to anyone. After a road-trip on the east coast we arrived to Winter Harbor. we where all quite tired of the uniform hotel rooms in different places, and we just loved this quit place. We went to Mount Dessert Island one day and just relaxed the other day, swimming in the Jones Pond and a took trip to Schodic Point. We visited from Denmark, and Kathleen went out of her way to help us with money transfer to her bank and answered other questions for us. She was such a great help. We wanted a house in a fairly quiet and private area that would be close to Acadia and surrounding areas. This house was perfect for our needs. Having a washer and dryer on an extended cross-country vacation was a bonus. Lots of information in the house to make travel easy. Very clean and very private. Making our reservations and dealing with Kathleen, the owner, was very easy. It was as simple as making a hotel reservation. The home was very clean with lots of space and a fenced in backyard where our kids could play. They also had a playground in the neighborhood, which was an extra bonus. The house had plenty of space and it was comfortable for everyone. There are restaurants and a grocery store within walking distance of the house. Kathleen gave us lots of ideas and suggestions that made our trip more enjoyable. We had a great time and would definitely rent here again if we came back to Maine. The house was very cozy and tidy with helpful notes on usage and what to do in the area. After spending 2 nights in Bar Harbor eating out every meal, we did not eat out in Winter Harbor at all but used the well stocked kitchen to cook our evening meals. We could walk to everything. There was a nice cafe near the 5 and dime with fresh bread and desserts. The farmer's market down the road on Saturday was small but varied with fresh fruit, meat, breads, crafts, and veggies. Every day we hiked , biked and sometimes swam. The house is in a peaceful, quiet area that was perfect to get back to after a day of wandering around. Schoodic Pt. and the surrounding park were really beautiful and just down the road. Definitely a place to go if you are into nature. "Looking to De-Stress? Look no further"
We are 4th time guests at this beautiful townhouse. This home is so comfortable and has a charm of its own with beautifully decorated rooms, so clean that you know the owners take pride in it and want you to have the best time as their guests and so functional that you have all you could need and more. If you "forgot it", it is most likely there. The neighborhood and town have such a friendly, hometown feel to it that if you are in a certain age group (baby boomers), you will have memories from by-gone days. If you walk downtown, you will come to the Winter Harbor 5 and 10. As you walk through it, you will see toys that you had as a child. There is an IGa on that same street that is very convenient. Also, a great place for breakfast or lunch: J.M. Gerrish. Very friendly owners and great cooks, delicious food and friendly locals to talk to. In just a few minutes you can get to the entrance of acadia National Park where we went every day..stunningly beautiful..peaceful and relaxing. One day we even saw a moose swimming in the ocean! Quite a sight! We slept so well there because the beds are so comfortable and we spent so much time in the open, unpolluted air. As we went on our adventures, we felt like we didn't have a care in the world. Bar Harbor was a lot of fun with all the shopping and good places to eat. In summary, this is the best place to stay if you are going to be in this area (we compared a lot and it is by far the best deal going), no hidden charges like some places you find and if you are trying to decide whether or not this area is where you want to spend some leisure time, you will not be disappointed. It is as beautiful as a postcard, everywhere you look!! There is something for everyone. Oh, if you decide to stay there baby boomers, you must go to Jordan's Snack Bar on Route 1 in Ellsworth. The food is excellent, there are nights with "old cars" and bands and even a game room with pinball machines!